In the last installment of the history of The Outreach Foundation in China we told the story of First Presbyterian Church of Wilmington, North Carolina and its historical connection with Jiangyin in Jiangsu Province. In this installment we will share about an American church with an historical connection to the Shandong Province, just north of Jiangsu. This is the Shadyside Presbyterian Church in Pittsburgh, Pennsylvania. Presbyterians in the northern stream of U.S. Presbyterianism began sending missionaries to Shandong in the 1860s. By 1895, the Shandong Mission had become the largest, and, in many ways, the most successful work of the PC(USA) in China (G. Thompson Brown, Earthen Vessels and Transcendent Power, p. 78). Some notable American Presbyterian missionaries served in Shandong, and one of them, the Rev. John L. Nevius, greatly influenced the Presbyterian missions to the Korean Peninsula that began in the 1880s. Shadyside Presbyterian Church was among the churches of the PC(USA) that supported the Presbyterian missions in Shandong. By virtue of its location in the steel city of Pittsburgh, some of its members had business connections in Shandong Province as well. When the church learned that the Presbyterian Mission Hospital in Weixian (now Weifang) was expanding and needed support Shadyside responded with a gift of $26,000, enough to build and outfit a new structure, and the hospital was renamed Shadyside Hospital. That hospital and the Presbyterian Mission compound surrounding it was taken over by the Japanese during World War II and used as an internment camp for foreign nationals, including many missionaries. (The story of the “Shandong Compound” is told in Langdon Gilkey’s Shantung Compound: The Story of Men and Women under Pressure.) Although I had taken groups to Weifang in 2004 and 2006, we had never seen the former hospital and its surroundings which the Chinese government had restored as a park to honor those who had been imprisoned there. 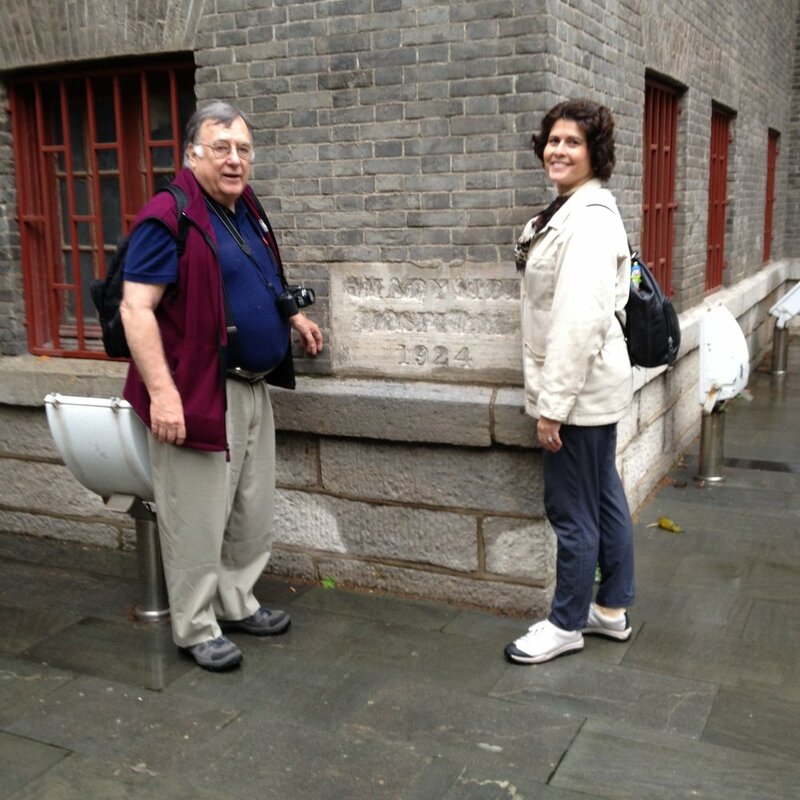 On our 2008 trip to China we included the Shandong Compound Memorial Park in our itinerary and brought along Dr. Scott Sunquist, a historian of the Church in Asia. Dr. Sunquist gave us a fascinating history of Presbyterian missions in Shandong Province and told us of Shadyside Presbyterian’s role in that mission. Upon our return to the U.S., we showed the Rev. Todd Leach, Associate Pastor for Mission at Shadyside, a photo of the cornerstone of the Shadyside Hospital. He also met Dr. Peter Lim, our China Mission Specialist, and became interested in having Shadyside reconnect with its China heritage. A “China Mission Team” was formed at the church and began brainstorming ways to connect with the Church in Shandong Province as well as with the many Chinese studying in universities in Pittsburgh. Two of the team members joined our 2009 China trip which included time in Weifang, their historical connection, and Jinan, where the Shandong Provincial Christian Council and the Shandong Theological Seminary were located. The following year the church sent six of its members and two Pittsburgh Seminary students to participate in The Outreach Foundation’s English Exchange Program in Jiangsu Province. They hoped to learn from this experience how to set up a similar program in Shandong Province. Enthusiasm was high, but Shadyside had a decision to make: would they try to reconnect with their historical partner, Weifang Peoples Hospital, which was now a fine government-run hospital, or would they connect with the present Church in Shandong? Shadyside opted for a relationship with the Church. Todd Leach visited China again in 2011 with Peter Lim. After visiting the Shandong Provincial Christian Council and Seminary in Jinan, they went to Wei Hai, a city on the Yellow Sea near the northeastern tip of the Shandong Peninsula. There they met a clergy couple, the Rev. Lü Zhao Shi and the Rev. Tan Gui Yun, and concluded that this was the place to establish a local relationship as part of their relationship with the wider Church in Shandong Province. The Outreach Foundation took Shadyside to Shandong in 2012 and 2014. Over time they established a good working relationship with the Shandong Christian Council and planned an English Exchange program with them that brought youth throughout the province to the Wei Hai Church in the fall of 2015. We have been inspired by the work of the Church in China, especially we have seen it in the Weihai leadership and congregation. The great blessing of our efforts has been our focus on relationships. We desire stronger relationships and hope one day to show the same hospitality to Rev. Lu and Rev. Tan as they have shared with us. While Shadyside Presbyterian Church has been the strongest partner of The Outreach Foundation in Shandong Province over the past two decades, we have introduced others to the marvelous church in this province. We supported the Shandong Seminary’s expansion in 2009 and graduates from the seminary have received “mini-libraries.” However, there is another Presbyterian connection with Shandong whose story we would like to share briefly. The Presbyterian Church of Korea was just getting organized when it began sending missionaries. When it organized its first presbytery in 1907, it commissioned a domestic missionary. At its first General Assembly in 1912, the Presbyterian Church of Korea commissioned its first overseas missionaries and sent them to Shandong Province, which was across the Yellow Sea from the Korean Peninsula. Korean missionaries labored in that part of China until the beginning of the Peoples Republic. Today there are Korean Chinese congregations who are part of the official Church in Shandong. One of which is in Wei Hai, and on a 2014 Outreach-Shadyside trip we met the pastor of the congregation. 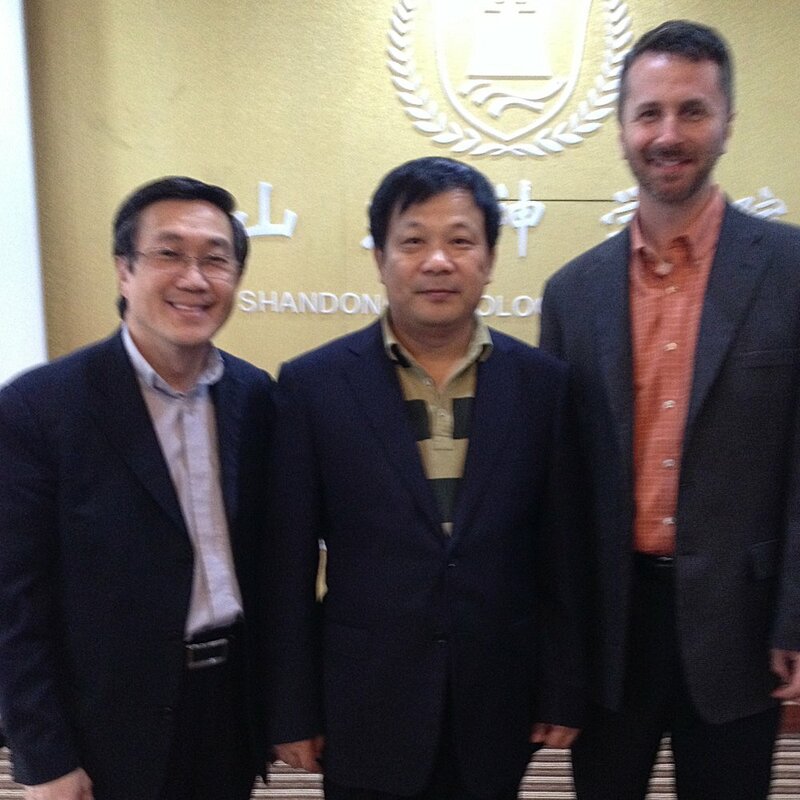 The next time I visited Shandong I brought with me the PC(USA) East Asia Regional Liaison, the Rev. Choon Lim, a Korean American who had already begun building relationships between Korean church communions (Presbyterian and Methodist) and Chinese Christians. Now he has added Shandong Province as a place to make deeper connections between the churches in the two countries and has brought Korean Presbyterian church and seminary leaders on subsequent visits. The Church in Shandong Province has visionary leadership that is globally informed and historically aware of its unique location in China as the birthplace of China’s most distinguished thinker, Confucius. The Outreach Foundation has much to learn from this fascinating part of the body of Christ in China and will continue to introduce American friends to the Church in Shandong in the coming years.